Slide into fun with Slides A Lot! Where all your fun comes with a slide! 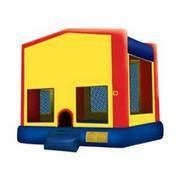 We have all your bounce house needs offering slides, combos and obstacle courses too! Welcome to Slides A Lot! Pick your date, Pick your inflatable, Reserve it and have fun! Add water for extreme fun! Here at Slides A Lot your bounce house rental experience begins with a hello, arrives on a timely schedule and ends with a clean, fun and memorable experience. 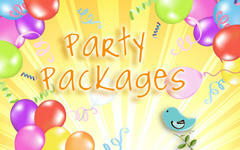 We hav hosted numerous party events and birthdays leaving all in attendance with exhausted smiles and treasured memories. At Slides A Lot our paramount goal is to provide you with a safe, clean bounce house or waterslide with exceptional customer service. This is why we go in-depth with safety guidelines on all of our inventory to ensure you have a safe experience. Second only to safety would be cleanliness. This is why we complete a thorough inspection of all our bounce houses and waterslides with all our customers. Remember at Slides A Lot all your fun comes with a slide. This has been our motto since we started almost ten years ago. We are dedicated to continuing our excellent service and amazing products for years to come. If you are searching for a bounce house in Elk Grove, waterslides, jumpers, jump house or even moon walks, no matter what you may call these amazing inflatable attractions, we can deliver. We are among the best of what the industry has to offer. 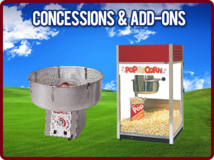 In addition to our inventory we have familiarized ourselves with other rental companies. If you are looking for an attraction and cannot find it on our website please contact us, we have reputable contacts with other companies in the area. These licensed rental companies might have exactly what you are looking for. 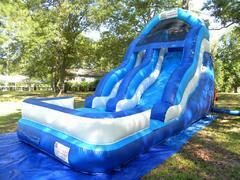 Remember here at Slide A Lot your event success and enjoyment is our goal. Please note that along with our service, safety and cleanliness our prices will be the best competitive rate compared to the local licensed companies. Sacramento, Folsom, El Dorado Hills, Wilton, Hood, Clarksburg, Walsh Station, Sloughhouse, Galt, Courtland, Herald, Thornton, Clay, Locke, Walnut Grove, Nimbus, Carmichael, West Sacramento, Broderick, Gold River, Rancho Murieta, Acampo, Woodbridge, Lodi, Isleton, Cameron Park, Roseville, Granite Bay, Lincoln, Rocklin, Davis, Woodland, Citrus Heights… Delivery beyond 50 miles from office requires delivery travel fee. To find out more, get in touch by visiting our contact us page or call us at (916) 245-1010.